Numerous employers now encourage speaking up in the workplace. They recognise the benefits of being made aware of wrongdoing within their organisation at an early stage, as this gives them the opportunity to address problems at an early stage, before it can lead to loss of standards, reputation, profit, stakeholders and customers. Whistleblowing can also reduce the commercial costs of fraudulent activities. Nonetheless, deciding to speak up, report a concern or ‘blow the whistle’ can be a life changing experience. Many workers who have shared concerns about wrongdoing in the workplace have since lost their jobs or opportunities for promotion, have been isolated at work and have suffered personally for having made a report. Because of this, it’s important that potential whistleblowers are aware of the serious risks they could face when speaking up and that they take steps to minimise those risks. TI Ireland published our Speak Up Safely Guide to help workers make an informed decision before sharing concerns about wrongdoing. 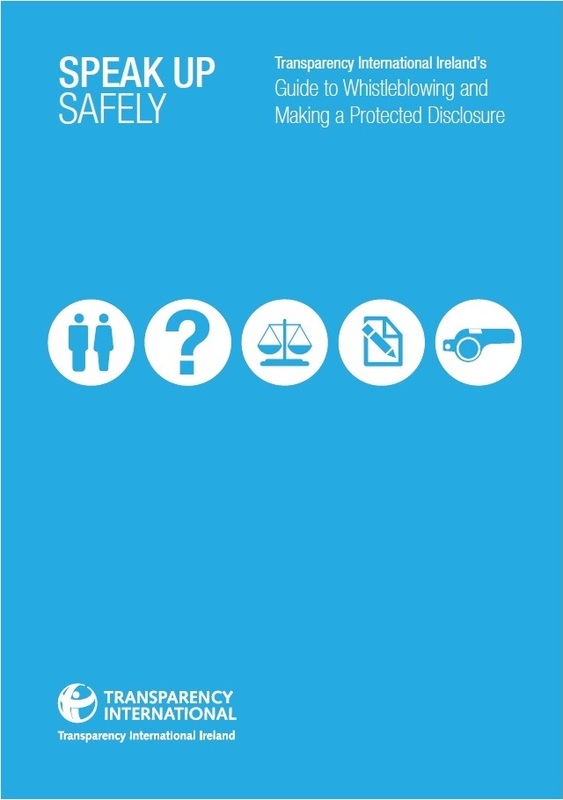 The guide is aimed at helping workers understand the new whistleblowing legislation, the Protected Disclosures Act 2014, as well as giving practical tips on blowing the whistle safely. The guide was written using TI Ireland’s experience of the Speak Up helpline since 2011.The guide can also be useful for employers and others working with people who are reporting concerns.